Torrevieja taxis tend to do a roaring trade, especially during the peak summer months. There are several reasons for this. Many foreign holidaymakers are loath to use the local bus service. Although they are regular and cover the majority of the city’s residential areas, they can be somewhat confusing to non Spanish speakers. Add to this the fact most bus drivers don’t speak much English, visitors just tend to use the Torrevieja taxis. 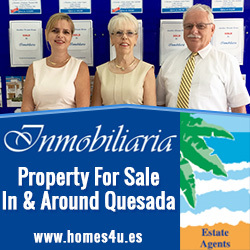 With the city neighbouring the popular resort areas of Orihuela Costa, there is much traffic between the two. 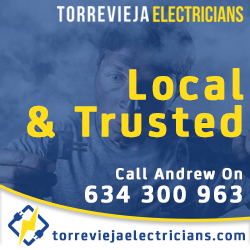 Unfortunately only one of the Torrevieja buses run to certain areas of Orihuela Costa. This is another reason the Torrevieja taxis are kept busy. 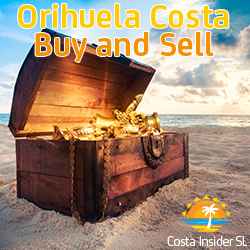 This is a shame as many great beaches and entertainment venues can be found in Orihuela Costa. So for those wishing to visit regularly, using taxis can work out rather expensive. Visitors staying in the city who wish to visit the fantastic beaches and predominantly English and Irish bars found in Orihuela Costa can take the Alicante to Pilar de la Horadada bus. This leaves from Torrevieja bus terminal bay 7. 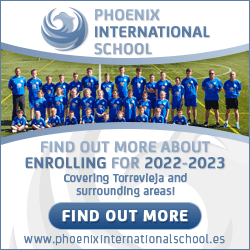 It stops along the N-332 coastal road at Punta Prima, Playa Flamenca and Cabo Roig. This gives visitors easy walking access to all the Orihuela Costa beaches. These stops are also close to many of the areas entertainment venues. 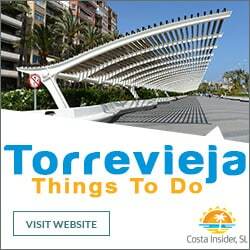 The city’s taxis, called Radio Taxi Torrevieja, are modern and plentiful. They are all air conditioned and have GPS. They offer a standard taxi, great for getting about during a holiday. Their estate cars have large luggage space, perfect for airport runs. They also offer people carriers and adapted vehicles for the disabled. The main taxi rank is located outside the city bus terminal. This is on Calle Antonio Machado, just after the road name changes from Avenida de las Habaneras. The taxis line up down the side street outside the terminal cafeteria. 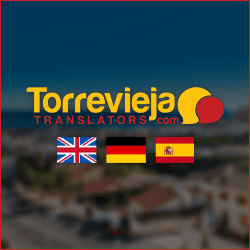 Alicante Airport – Regular visitors to Torrevieja who have built up a rapport with a certain taxi company are welcome to use their services. Alicante Airport however use the services of Radio Taxi Elche. They have an ordinary and special rate. Ordinary rate is from Monday to Friday 06:00 – 22:00 and Saturday 06:00 – 15:00. Airport to Torrevieja price is 52€. Special rate is from Monday to Friday 22:00 – 06:00, Saturday from 15:00 and Sundays and public holidays. Airport to Torrevieja price is 60€. All services have an airport supplement of 4.25€. Murcia-San Javier Airport – The same applies here; if you are comfortable with a certain taxi company, by all means use them. Murcia-San Javier Airport use the services of Unión Radio Taxi Mar Menor. Airport to Torrevieja price is 60€. Prices are 30% higher on Sunday, public holidays and during the hours of 23:00 – 07:00. Airport supplement is 3.50€. Please note: All prices may be subject to change.